We get it, Belgium! You love chocolate more than anyone else; you win! God. 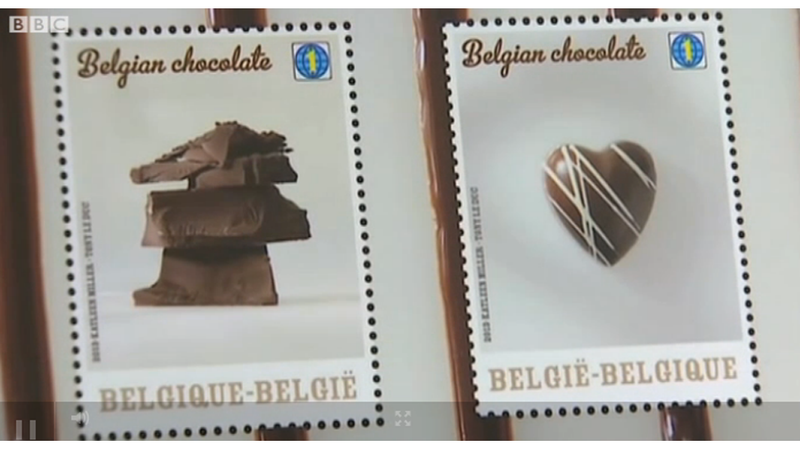 The Belgian post office, adorably named Bpost, has launched a set of special stamps that smell and taste of chocolate. Crazy, right? They're printing just over 500,00 on special paper that's imbued the aroma of cocoa. I am gonna eat so many of these when I'm on my period, you have no idea. Actually, I think you probably do have an idea. How will the women of the world get any work done when we've all gone insane eating chocostamps? According to the BBC, a team of fragrance and taste experts from Belgium, Germany, the Netherlands and Switzerland were involved in creating the collection. International flavors, y'all. You can watch a video of how they're made over at the BBC, and it's extremely delicious. You're welcome.